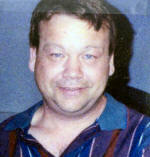 LINCOLN -- John Alexander Erwin, 65, died Monday, Nov. 7, 2005, at 12:15 a.m. at Abraham Lincoln Memorial Hospital. A graveside service will be at 1 p.m. Thursday at Rankin Cemetery, Rankin. The Rev. Tony Shuff will officiate. Mr. Erwin was executive director of the housing authorities of Cass and Mason County. He was born Sept. 11, 1940, at Sault Ste. Marie, Mich., to Lowell D. and Agness E. Norbeck Erwin. He married Jeanne C. Rothery on July 13, 1960, at Rankin. He is survived by his wife, of Lincoln; two daughters, Janene (and Glen) Hofbauer of Amarillo, Texas, and Jayne (and Doug) Berger of Cissna Park; one son, John D. Erwin of Lincoln; one sister, Laverne Louden of Zephyrhills, Fla.; one brother, F. Deane (and Marion) Erwin of Cary, N.C.; nine grandchildren; and one great-grandchild. He was on the board of directors for the United Way in Beardstown. He was a member of Neighbors to Nations Community Church of Lincoln, to which memorials may be made. Click here to send a note of condolence to the Erwin family. LINCOLN -- Virginia Wrage Otte, 90, of Lincoln died Sunday, Nov. 6, 2005, at 10:45 p.m. at St. Clara's Manor. Visitation will be from 4 to 7 p.m. Wednesday at Immanuel Lutheran Church. Her funeral will be at 10 a.m. Thursday at the church, with the Rev. Dan Wissmann officiating. Mrs. Otte was a retired teacher. 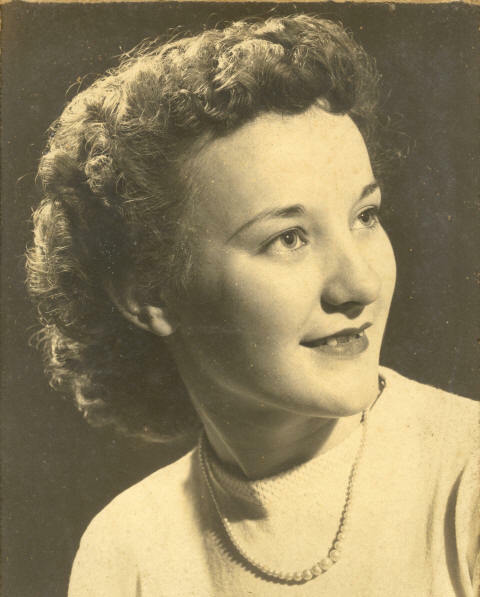 She was born Oct. 22, 1915, at Lanesville to Albert Wrage and Lena Behrends Wrage Kurtz. 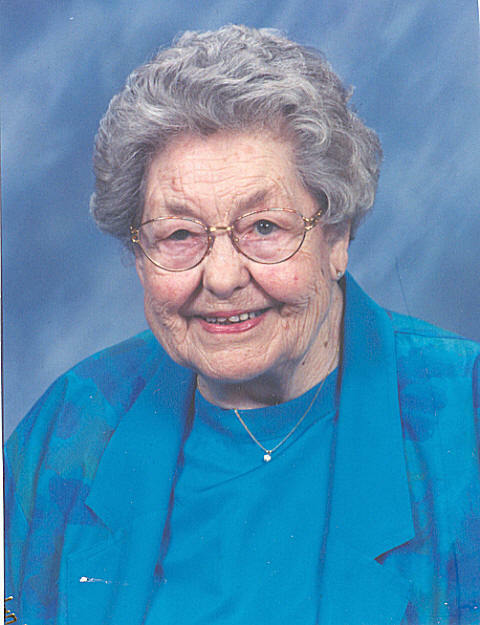 She married Armin Otte on Sept. 15, 1940, at St. John's Lutheran Church in Hartsburg. He died Feb. 21, 1985. She is survived by two sons, James (and Joyce) Otte of Congerville and Donald (and Joni) Otte of Lincoln; three daughters, Beth Otte of Phoenix, Ariz., Anne (and Dana) Sydney of Lincoln and Jean (and Ronald) Hall of Lincoln; one sister, Ruth (and Robert) Quisenberry of Lincoln; eight grandchildren, David (and Louise) Otte, Jeanette (and Eric) Eidson, Greg (and Jenny) Otte, Lyndi (and Scott) Lund, Stephani Otte, Kathryn Sydney, Jennifer Sydney and Rachel Hall; and three great-grandchildren. She was also preceded in death by one sister and one grandchild, Chad Hall. Memorials may be made to the Cystic Fibrosis Foundation, Immanuel Lutheran Church or Wayne J. Schall Hospice. Click here to send a note of condolence to the Otte family. LINCOLN -- Dewayne Tolliver, 39, died Saturday, Nov. 5, 2005, at 6:50 p.m. at home with his family. A memorial visitation will be from 3 to 4 p.m. Saturday, Nov. 12, at Bennett Funeral Home. A memorial service will follow at 4 p.m.
Bennett Funeral Home is handling arrangements. He was born Nov. 22, 1965, in Cynthiana, Ky., to Erman Ray and Ella Mae Moore Tolliver. He married Rose Stiles on May 11, 2002, in Lincoln. He is survived by his wife, of Lincoln; his father, of Cynthiana, Ky.; six brothers, William Ray Tolliver of Ohio, Handsome Lee Tolliver of Cynthiana, Ky., Arthur Thomas Tolliver of Cynthiana, Ky., Timothy Clayton Tolliver of Lincoln, James Lewis Tolliver of St. Louis, Mo., and Roy Allen Tolliver of Ohio; and four stepchildren. Steven Rogers, Quincy Rogers, Sarah Rogers and D.J. Hatfield Jr., all of Lincoln. He was preceded in death by his mother; one brother, Randy Dale Tolliver; and one sister, Emma Catherine Tolliver. Click here to send a note of condolence to the Tollivar family. LINCOLN -- Russell E. Boatman, 91, of Lincoln died Saturday, Nov. 5, 2005, at 2:10 a.m. at St. Clara's Manor. Visitation will be from 4 to 6:30 p.m. Tuesday at Lincoln Christian Church. His funeral will be at 7 p.m. at the church. Burial will be at 9 a.m. Wednesday in Bethel Cemetery, rural Logan County. Mr. Boatman was a minister with a distinguished career in Christian higher education. He was born Aug. 19, 1914, in Mountain Grove, Mo., to Andrew and Verba Boatman. He married Lutie Kenney on Aug. 25, 1935. They had been married 62 years when she died Aug. 28, 1997. He is survived by four children, Charles Boatman of Fallbrook, Calif., David Boatman of Danbury, Wis., Paul Boatman of Lincoln and Elizabeth Passwater of Joplin, Mo. ; four siblings, Nadine Rotolo of Fontana, Calif., John Boatman of San Bernardino, Calif., Mary Miller of Oceanside, Calif., and Janet Van Meetren of Las Vegas, Nev.; 14 grandchildren; and 28 great-grandchildren. He was also preceded in death by one brother and two infant grandchildren. 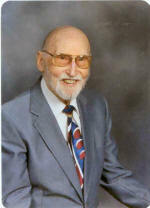 He had ministered to churches in Harrisburg, Ore.; Nash and Sperry, Okla.; and Wichita, Kan. He served as president of Minnesota Bible College, Minneapolis, Minn., from 1945 to 1962 and as dean and dean emeritus at St. Louis Christian College, Florissant, Mo., from 1962 to 1992. In 1948 he joined Billy Graham and other Bible college presidents to form the Accrediting Association of Bible Colleges. He served on the boards of numerous mission and service agencies. He spoke widely at churches and conventions and authored numerous magazine and journal articles. He wrote four books: "What the Bible Says about the End Times," "What the Bible Says about the Church," "What the Bible Says About the Holy Spirit" and "Beyond Death." He held two baccalaureate and two master's degrees, as a graduate of Northwest Christian College, Eugene, Ore., and Phillips University, Enid, Okla. He was an avid runner and fisherman. Memorials may be given to the Boatman Scholarship Fund at St. Louis Christian College or the Boatman Scholarship Fund at Lincoln Christian Seminary. Click here to send a note of condolence to the Boatman family. LINCOLN -- Floris Cleo Wildey, 102, of Lincoln died Friday, Nov. 4, 2005, at 5:50 p.m. at the Christian Village. Her funeral was on Tuesday morning at Holland and Barry Funeral Home in Lincoln, with Marion Henderson officiating. Visitation preceded the service. Burial will be at 11 a.m. Wednesday at Pleasant Hill Cemetery, Indianapolis, Ind. She was born June 20, 1903, in Columbus, Ind., to Jacob Cleveland and Campie Bell Joy King. She married James M. Wildey on Nov. 9, 1935, at the North Vernon Christian Church in North Vernon, Ind. He died in Lincoln in 1973. She is survived by a niece, Anita B. Dowling King of Lincoln; a nephew, Kingsley Enos Dowling of Gainesville, Texas; seven great-nieces and nephews; 11 great-great-nieces and nephews; and three great-great-great-nieces and nephews. Memorial donations may be made to her church and will be accepted at the funeral home. Click here to send a note of condolence to the Wildey family. LINCOLN -- Rosemary A. Petersen, 70, of Galesburg, formerly of Lincoln, died Wednesday, Nov. 2, 2005, at 8:24 a.m. at Abraham Lincoln Memorial Hospital. 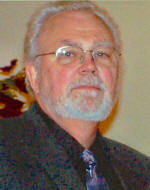 A graveside service will be at 9:30 a.m. Friday, Nov. 11, at St. Mary's Cemetery, with the Rev. R. Anthony Lee officiating. There is no visitation. She was a housekeeper at Galesburg Cottage in Galesburg. She was born Aug. 30, 1935, at Mount Sterling to Leo J. and Marie Gleeson Lehne. She is survived by one son, Kenneth Leo (and Theresa) Petersen of Lincoln; one brother, Richard Lehne of Galesburg; three sisters, Helen Rupert of Galesburg, Marge Butler of Mount Sterling and Jody Rupert of Galesburg; one grandson, Cody Petersen of Lincoln; and one stepgranddaughter, Charity (and William) Baker of Chatham. She was preceded in death by her parents and one daughter, Teri Lynn Petersen. She was a member of Corpus Christi Catholic Church in Galesburg. Click here to send a note of condolence to the Petersen family.